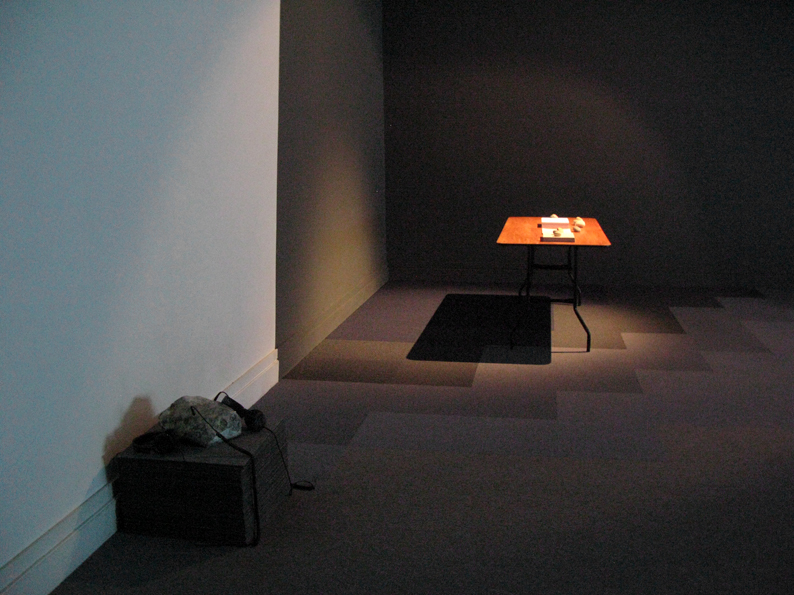 2011, installation: audio, carpet tiles, paper stacks, stones, table, video. 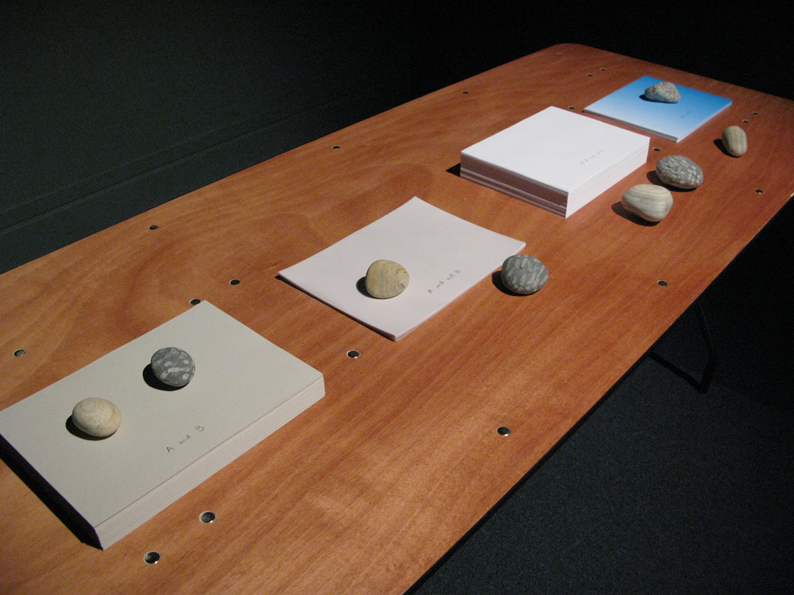 Installation following a period of research with Ruth Byrne, a Psychologist and Professor of Cognitive Science in Trinity College Dublin, that probes a relationship between the effects of fiction and an analysis of psychological reasoning. 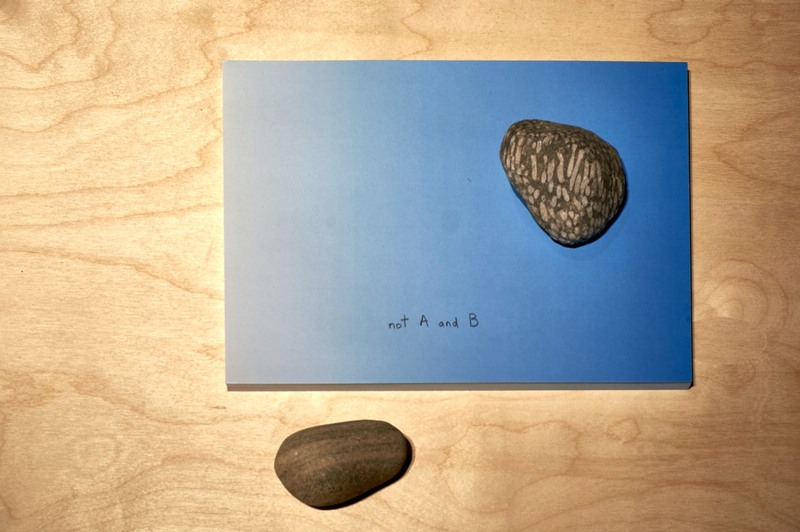 Potential misperceptions of another's intentions unfold through a framework of stones and the sea. 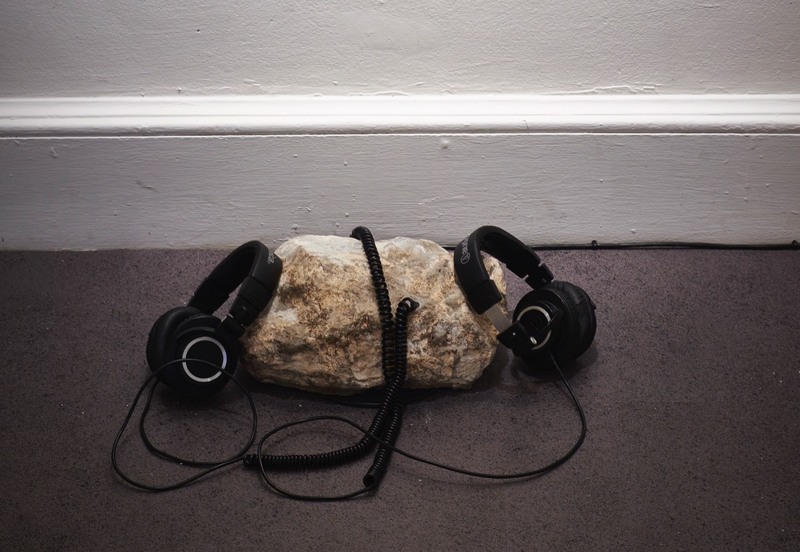 In an audio work embedded in a cast stone and placed on the stack of displaced carpet tiles from the room, the artist discusses with Ruth Byrne, her theory of reasoning. 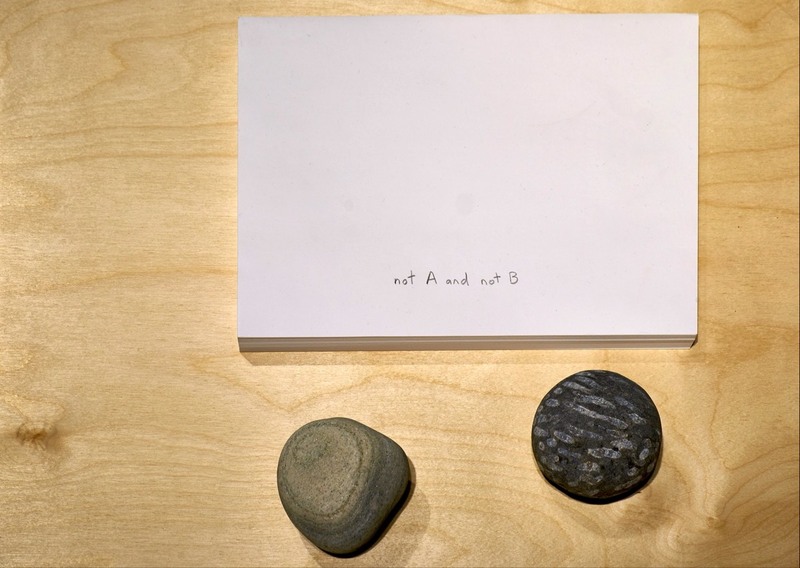 They discuss the idea of 'fault lines' in reality, the aspects of reality that are more readily changed in imaginative thinking. 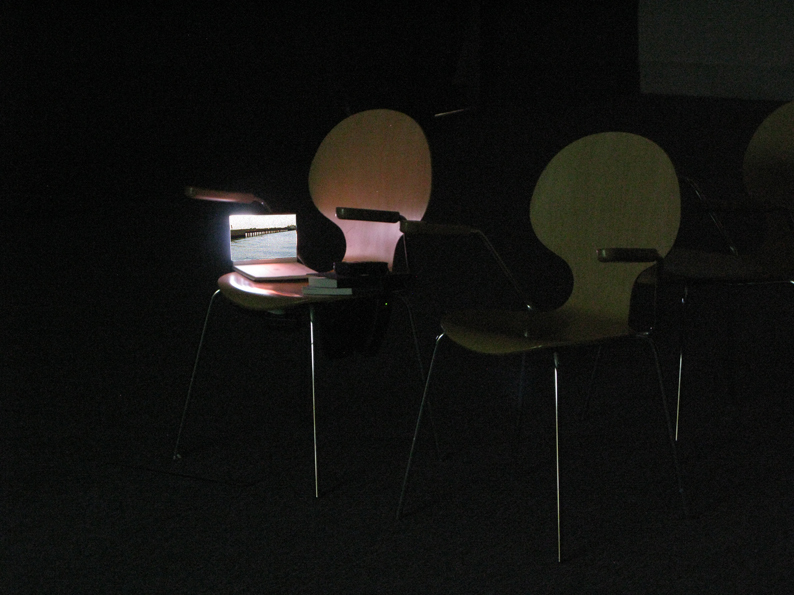 Projected on a screen at the other end of the gallery If A, then B, is a documentative film of psychology students considering 'intentionality', deducing the reasons and causes for a person to take action, by examining short scripts of potential scenarios. 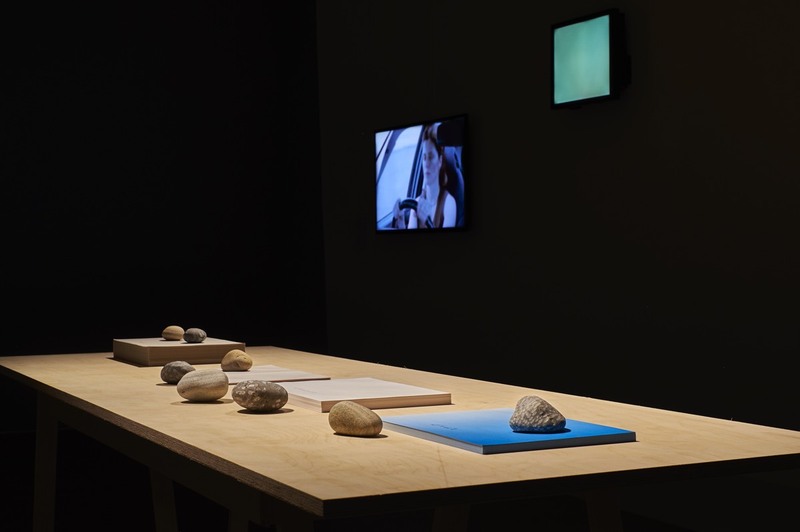 Documenting the students awareness of the camera’s presence, the film echoes their process through exposing the artist's own intentionality when filming, making explicit the framing of shots and the use of cuts in editing. 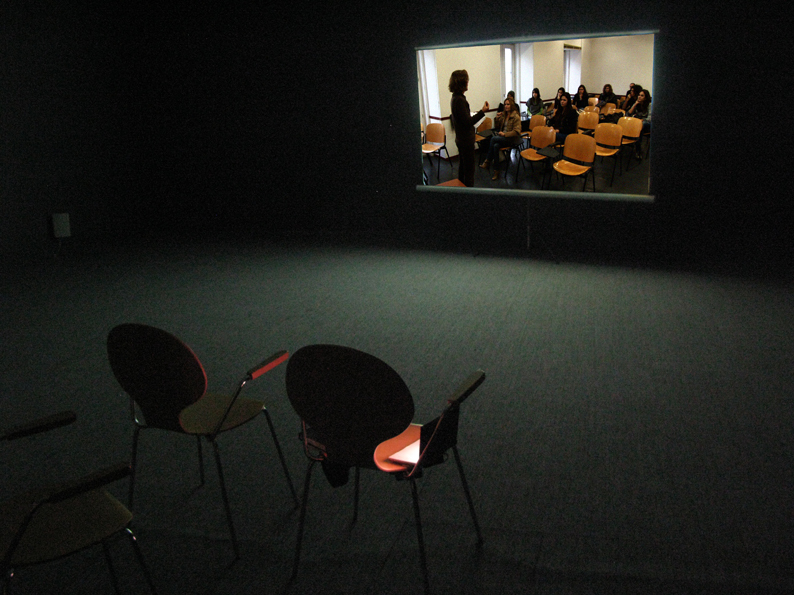 The film reflects further on the scripted scenarios by developing a sense of a possible fiction being created. 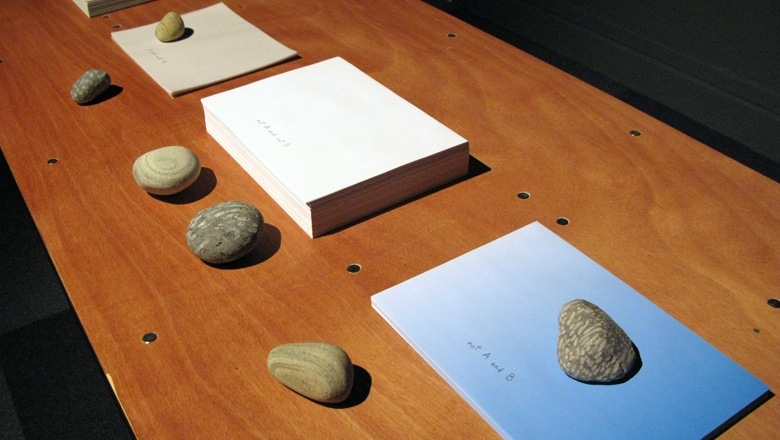 Projected small onto a book, another film Déjà vu creates a 'footnote' to the installation. 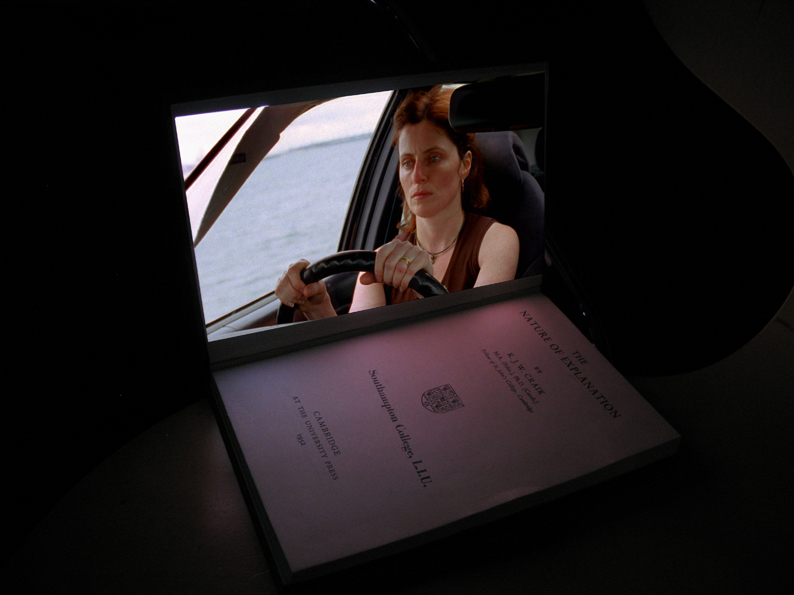 In the fictitious Déjà vu two people are momentarily part of the same seaside event but have different perceptions of it.The characters lack of connection is poignant, the work speaks to an audience through a cinematic language that references brief encounters and missed opportunities. 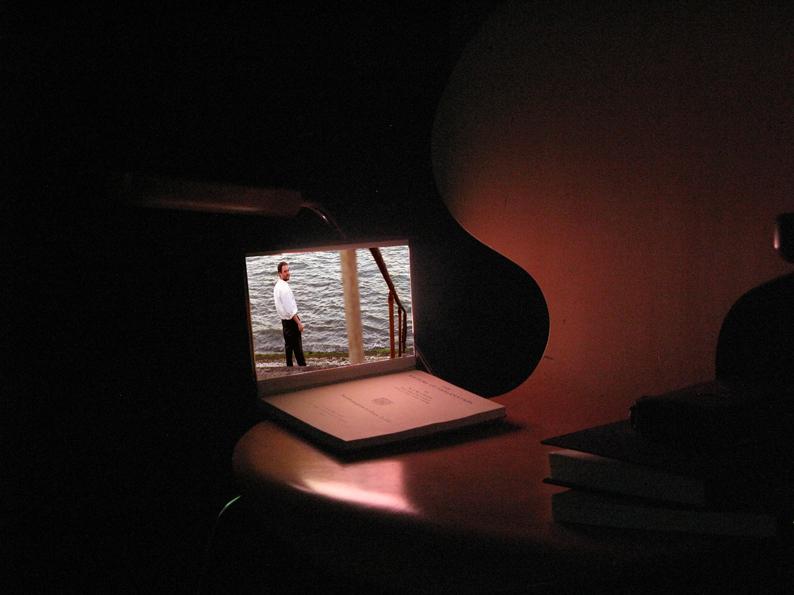 Déjà vu, 2004, 16mm film, 4', books, chair, pico projector. 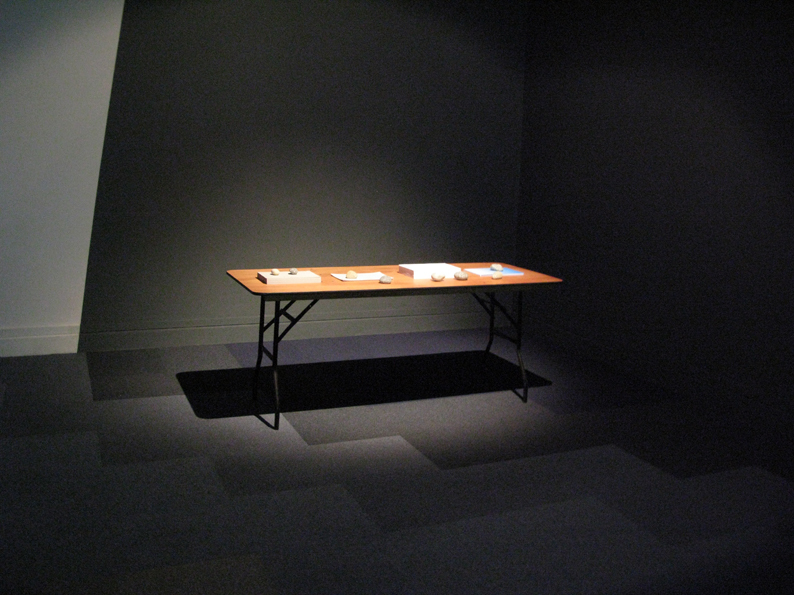 Commissioned by Patrick Murphy for Apertures & Anxieties, RHA Gallagher Gallery, Dublin, Ireland.